In 1994, the North American Free Trade Agreement (NAFTA) went into effect under the Clinton administration. 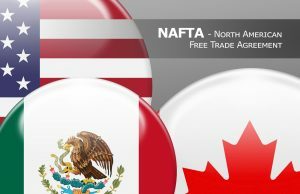 An idea that came about in the 1980s under President Reagan that allowed free trade between the United States, Canada and Mexico came with two main goals: to expand North American trade and to make these countries more competitive in the global marketplace. The agreement has seen some success since it was put into effect 23 years ago. It has increased North America’s competitiveness in the global marketplace and tremendously boosted trade. It also lowered prices on commodities such as oil and produce. However, there have been costs to those successes, especially within the U.S. agriculture industry. 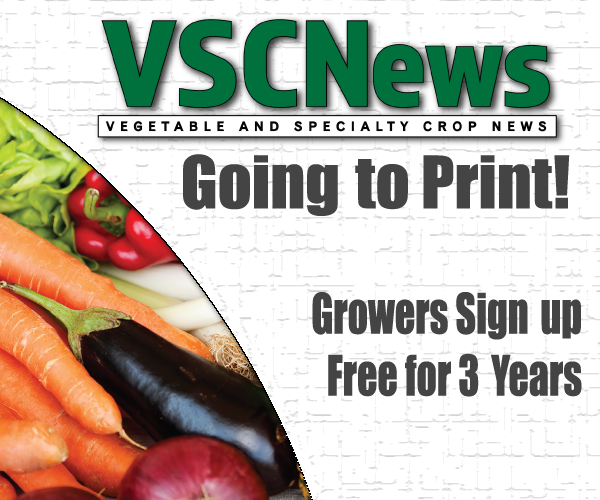 Although the agreement lowered prices for produce, it heavily decreased the demand for American agricultural commodities, forcing some farmers around the country to either sell their land or test out alternative crops that may sell. Furthermore, NAFTA has put the United States in direct competition with Mexico. Miami Dade County’s agricultural manager, Charles LaPradd, says Mexico has created an industry to directly go after the U.S. market share. LaPradd believes the biggest issue, among many, between the two countries is the difference in labor rates. “It’s a vastly different economic model, and that creates a grand disparity,” he says. Although not all agricultural products are being negatively affected by NAFTA, the ones that are take a big hit. President Trump has not been shy when it comes to expressing his feelings about NAFTA. Throughout his campaign, he talked about shutting the agreement down all together. However, he is now considering renegotiating the agreement instead of abolishing it. LaPradd hopes that renegotiations of the agreement will result in safeguarding policies that prevent things like price bumping, in order to create a fair playing field. Florida Commissioner of Agriculture Adam Putnam expressed his disdain for NAFTA in a letter released on April 26. “I believe that Florida produces the highest quality agricultural commodities in the world and can successfully compete in a global market on a level playing field. Unfortunately, the current trade environment created under NAFTA is anything but a fair and level playing field for Florida’s producers,” Putnam stated in the letter. He is pushing for an investigation into Mexico’s unfair trading practices because of the negative effects they are having on Florida’s agriculture industry in particular. Currently, it is unknown what renegotiations of NAFTA may look like, and the potential consequences they could bring to America’s agricultural and other industries.